Today I am one month into my recovery from back surgery. While I still have pain, I’m getting around a lot better. I love my home, but I start to go stir crazy if I don’t get outside to breathe in some fresh, clean air. I’ve been getting that slightly overwhelming feeling of wondering how I will ever catch up on things that were never caught up on in the first place; especially when it’s still too early in my recovery to even begin the catching up! But I’ve been faithfully sharing God’s love with others. I’ve been meeting some wonderful people in the process, following where God leads me, and learning a bit more about the direction of my ministry; along with the plans God has for me and my family for the future. All this is because God has provided me with rest. This week God said it was time to get outside! He immensely blessed both my daughter and me with a sunshiny day at the park! It was one of those “God Moments” where you just know He has his hands all over it, so you can have a slice of joy! With a last minute weather check, on a whim we invited several friends to join us, and were delighted to find that almost all of them could meet us there! Since I’m unable to drive yet, one of my friends kindly picked up half of us at my house. My other friend had dropped her girls off at my house, so they could come too. Even though she couldn’t stay, I was blessed by her smile and huge hug. My sweet friend who was the driver, patiently waited as we searched for shoes, because we couldn’t find the ones my daughter needed for the playground. She also carried my cooler and my other bag, insisting I didn’t need to be handling them. She cheerfully got all the girls into the car, and still doesn’t know how grateful I am that she was such a good sport about us not being ready to go when she arrived. She just smiled and chatted, as my daughter made her jelly sandwich for her little picnic treat. My friend didn’t seem phased at all by the mess of toys and shoes, which had been slowing building over the last two days. It felt like a fresh spring breeze had just entered my home, and her joy gave me a peek at the fun day we were going to have at the park. I felt myself relax, as my friend patiently adjusted the seats in her car, so we could all fit. I wasn’t able to help, and just felt incredibly grateful for her willingness to go out of her way to pick us up out in the country. We were late to the park, but thankfully I managed to remember to check my phone, because my other friend wasn’t sure which park was the meeting place. I told I was sorry we were running late, and we were happy to find her already waiting for us when we arrived. I cherished her warm hug, and as an added bonus; she had brought me two dozen fresh eggs from her farm! Soon my other girlfriend was pulling up with her energetic, lovable crew! She lives farther away, and we’d been wanting to get together for a while now. I had ordered some of her beautiful handcrafted soaps; because pure, handmade soaps are the only kind I use. They are a tiny slice of happiness, because they’re good for my skin, look pretty, and smell wonderful! I decided to see if my friend would be able to bring her girls to the park the next day. She could bring the soaps with her. My daughter and I were so excited when they said they would be coming! As my friends got to know each other, our children did too. They played in the beautiful sunshine; climbed ladders and flew down slides, chased each other, blew bubbles, and giggled as they tried out the baby swings! 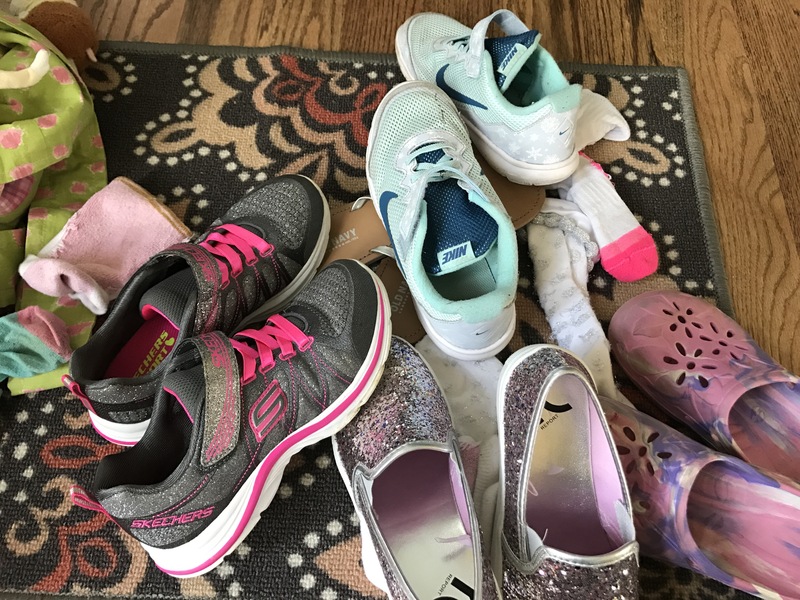 We moms talked about homeschooling, family life, friendships, and farming. Everybody said they wanted to meet again soon, and have another day like this together. It was finally time for my friends to go to soccer games, prepare dinner, and attend to farm chores. Even though I had arranged a ride home, each busy friend still offered to make herself available to drive my daughter and me back home. This made me feel loved and cared for, in a way they probably don’t even realize. I was incredibly grateful for my husband, making his way through town, doing some errands for me, before he came to pick us up at the park. He was making sure prescriptions were filled, and grocery runs were complete. He even offered to pick up take-out, though he’d offered to make dinner already. So many times he has done these things for us, but it seems so much sweeter, when he’s doing it to help me heal, and so we can enjoy some time out with friends. I still have this deep sense appreciation and awakened joy for all the little things that add up to make a God day, into a great day. I know it’s from God; the silver lining of sweet joy to keep me going through the pain and redundant routine of recovery. I thought about how some people don’t even have cars. They have to navigate rides all the time. I felt so grateful that God had navigated all my rides for me, so my daughter and I could enjoy a perfect day at the park. 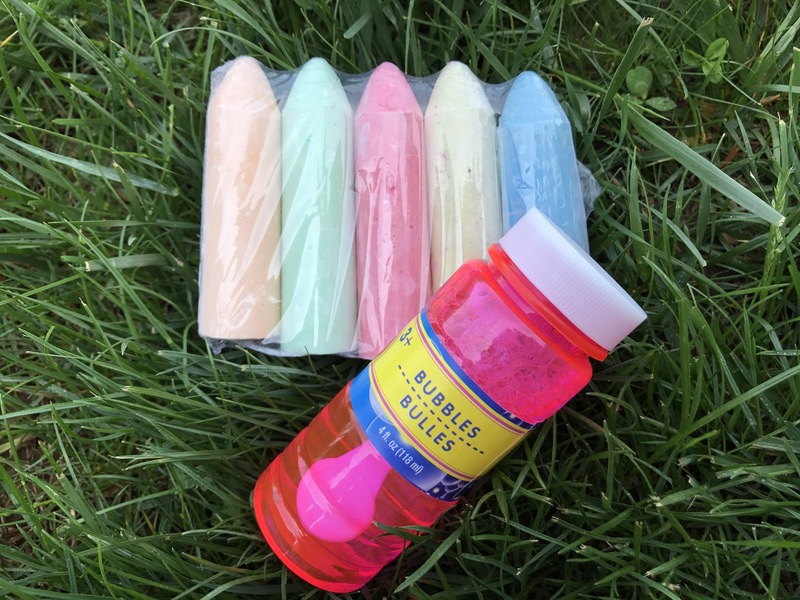 We’d had fun giving out packages of colored chalks and bottles of bubbles to our friends. They were leftover prizes from our church’s Easter in the Park. For me it was a small way of continuing the celebration and joy of Easter with the precious little people in our lives. For, aren’t we always ministering to each other in our friendships, as we seek to be all Jesus calls us to be? My husband who always takes care of us, picked us up in perfect timing, and assisted my daughter with some tricks on the monkey bars. We went home tired and happy, with sun-kissed cheeks. The joy of friendship filled my heart, and my daughter’s eyes were bright with happiness from all the fun with her girlfriends. She’d even met a new friend, before we left. She’s like that; she makes friends wherever we go. When I got home, I was hit with a migraine. I’ve been battling them for the last two months. And unfortunately, I get them after spending time in the sun. The pain was intense, and it wiped me out. Though I was now toast for the rest of the evening; it did not take away from the joy of our wonderful adventure that day. 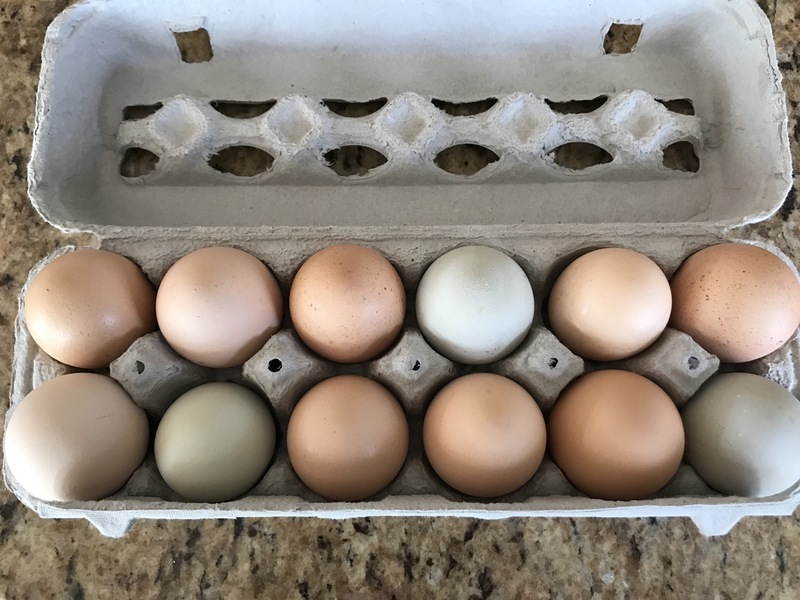 We had come home with a stash of farm fresh eggs,beautiful handcrafted soaps, plans for additional fun homeschool classes with friends for next year, and a reminder of our lovely day with treasured friends in our small town. More healing occurred in a day with friends, than could happen in a week without them! Thank you God for friendship! “Two people are better off than one, for they can help each other succeed. 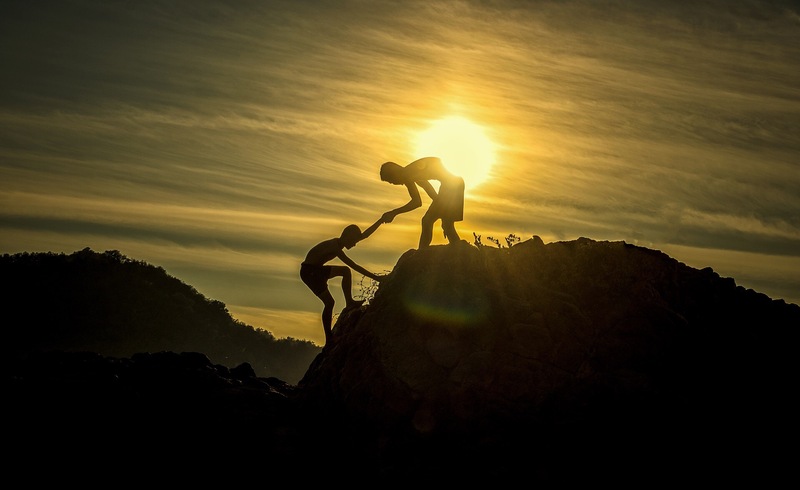 If one person falls, the other can reach out and help. But someone who falls alone is in real trouble” (Eccles. 4:9-10 New Living Translation). Be a friend; gain a friend! Local lover of healthy, homemade, natural foods? 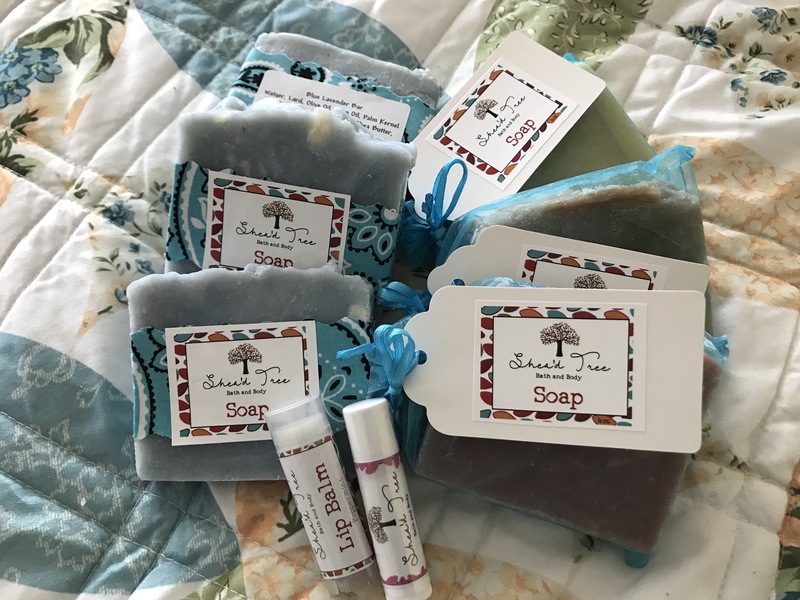 Lover of handcrafted, natural products? Recovery Week 2-1/2: It’s Palm Sunday! Rejoice! Angela, I love that kind of day. Sounds like you have some wonderful friends. I’m sorry you ended up with a migraine though. Bleh! I get those too. They are better than they used to be.Thank God! I have special medicine that helps but makes me loopy. Being grateful doesn’t necessarily change the situation, but it sure changes my outlook on the situation… which is 90% of the battle! I’ve really been challenged in the last 9 months to be thankful for what I DO have. It really is life changing. Thanks for sharing!! Lizzy, I’m really beginning to understand this too; in a whole new way. Our outlook means everything, and can change our emotional view in tough situations. It’s just like when we renounce feelings of guilt, fear, and anger; in the name of Jesus, how depression moves away from us, so we can have joy even though our immediate situation has not changed. After all, God tells us to praise and thank Him constantly. He has us do this, not only because He is Worthy of it, but because He knows it will do our hearts good! You have a lot of wisdom to offer; I’ll have to check out your blog! Angela, I’m definitely learning that a lot of maturity is how you choose to handle emotions. I’ve spent a great deal of my life living by emotions, and I’m learning to buck that trend, and I’m growing so much as I do it! Thanks for reading! Wow! This just blessed my socks off. What a great afternoon we all had and thank you for organizing it! I can’t wait to get together again and I am praying for complete healing from your surgery. Thank you for sharing your God day with us. Thank you for the reminder to look at each day through the lens of God. It will always be a better day when we choose His lens. Leslie, that’s a good way to put it! We need to put on our “God Glasses” so we can start our day off right! Thank you for stopping by. I paid you a visit at your blog today and enjoyed it! Thank you! A day with friends! That’s the best kind of day! Hope you find a cure for the headaches that truly contains them. Thanks for sharing. Thank God for your friends, Angela! God has a way of bringing the right people our way just when we need them. I pray strength and vitality to you in Jesus’ name.